The Law Offices of Anthony C. Duffy is committed to providing diligent, effective and cost efficient legal services for our clients in dealing with their legal issues and problems, including in disputes, lawsuits and other legal proceedings. We have an extensive and consistent record of successful results for our clients. We strive to achieve the objectives our clients seek, while representing, advising and assisting them in dealing with often complex legal processes and requirements. We are committed to serving our clients legal needs; we value our clients, regularly stay in direct communication with them, and work diligently to solve and represent them in their legal issues and litigation. We provide an extensive range of legal services for small and medium sized businesses and real estate entrepreneurs and institutions. Our legal services are comparable in quality to major law firms, but with direct representation by the highly qualified and experienced attorney being hired, and generally at substantially less cost. Referrals from attorneys, accountants and other professionals, particularly in litigation and disputes, are appreciated and the relationship of the referring professional to that client is respected and maintained. With a considerable amount of diverse and qualified experience, attorney Anthony C. Duffy handles a broad range of business litigation, transactional and real estate law matters for clients in Orange County and Southern California, as well as in other states and countries. 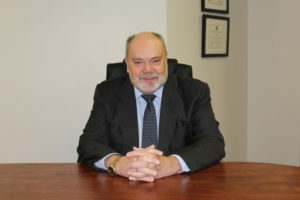 Mr. Duffy provides outstanding representation to a diverse range of clients, including small and large corporations, professionals, entrepreneurs, corporate executives and real estate developers, as well as families and individuals who have business or real estate problems or who need representation and counsel. He has handled numerous complex and significant business litigation matters, including obtaining a jury verdict exceeding $97 million in a high-profile case. In defending against business lawsuits, he has saved his clients hundreds of millions of dollars in potential liability exposure. A highest honors graduate of Stanford University, and with a J.D. degree from the distinguished Yale Law School, he provides comprehensive business law and real estate counsel to small and large businesses and individuals throughout the region. AV-rated* by Martindale-Hubbell, Mr. Duffy has a proven record of success in obtaining favorable results, including verdicts and judgments, in California state and federal courts. Mr. Duffy is prepared to provide you with the experience and capabilities of a large law firm and the personal, attentive service and cost-effectiveness of a small law firm. Kristina Bryan is a paralegal for the Law Offices of Anthony C. Duffy. She has more than 20 years of legal experience in the areas of business, securities and real estate litigation. She is experienced in all phases of litigation, including document control and analysis, database management, drafting discovery requests and responses, assisting with deposition, arbitration, trial preparation, and trail support. Kristina provides a strong supportive role in all aspects of the organization. If you are seeking a distinguished Orange County Business Litigation Attorney, the Law Offices of Anthony C, Duffy, and Anthony C. Duffy, ESQ, are available and able to assist you. We invite you to contact us today online or by telephone at 714-596-7949.